Kerala Board SSLC Result 2019 – Kerala Board has successfully conducted the SSLC Examinations were held in the month of March 2019. A huge number of candidates who are studying 10th standard in Kerala appeared for the examination which was held at various examination centers. All the candidates who had written the Kerala SSLC 2019 exams, are eagerly waiting for know their result. Kerala Education Board will be declared the Kerala SSLC (10th class) march 2019 results in the month of April/May. Kerala Board was setup in year of 1990 by the office of the Commissioner for Government of Kerala, India. The main office is situated at Thiruvananthapuram. It is Considered as the best board for School education in India. 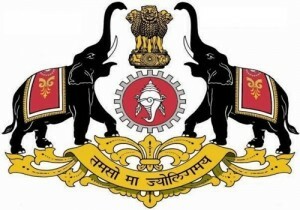 The Kerala SSLC March 2019 Results has been declared at Official Website of SSLC EXAMINATION GOVERNMENT OF KERALA i.e., http://keralapareekshabhavan.in. As per the board sources, Kerala board 10th results 2019 will be available soon. More than 4.9 lakhs students appeared for the Kerala 10th examination this year. Candidates who had appeared for the examination in the month of March 2019 can get the Result name wise, school wise and state wise from the official website. Kerala SSLC Result 2019 Date? The Kerala Board will begin the formalities for the SSLC Result 2019 announcement, soon after the successful completion of the board exam in the month of March. As per the previous year report’s, the board is likely to be declared in last week of April. Actually kerala board follow the annual academic calendar to declare the 10th Result. Last year, the Kerala SSLC Result 2016 was announced by the board on April 27th and this year as well, the board is likely to follow a similar time frame for the announcement of the results. Students, who want to check their results first, can visit http://manabadi.com/kerala. SSLC Examination Results – 2019 to be declare soon. Visit Manabadi.com for all updates and results for Kerala Board SSLC (Secondary School Leaving Certificate)/ 10th board. As per the table, in the year 2018, Around 4.92 lakhs students had appeared and result percentage was 97.84. In the year 2017, Around 4.64 lakhs students had appeared and the result percentage is 95.98. 1. Go to the kerala Board Official Results website or Direct link given below. 2. Now click on the link named as “SSLC Examination Results – 2019“. 3. Then enter your Register Number and Date of Birth. 4. Now click on “Get Results” button. 5. Your result will be displayed / downloaded on the computer. 6. You can take a printout by clicking on ‘Print’ button. In order to help the students, manabadi.com is providing the facility of sending the Mail & SMS to the candidates regarding kerala Pareeksha Bhavan 2019 Result Updates.